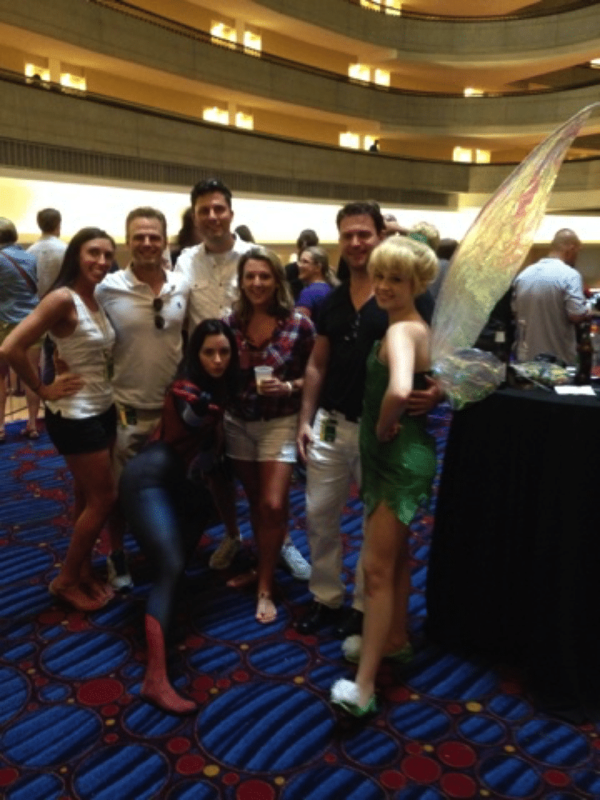 Dragon Con :: Sci Fi/Fantasy, gaming and comic fans unite! September 4 – 7 in Downtown Atlanta is the largest festival of its kind! 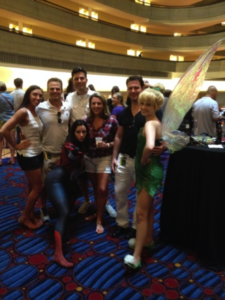 I went to Dragon Con last year and it did not disappoint (see my picture with Tinkerbell to the right)! Even if you are not a fan, the “people” watching is endless and amazing. Thank me later. The parade is fun (and free! ), but get there early! For a full list of events, head over to Dragon Con’s website HERE. Labor Day Blues BBQ Festival :: The 30th annual WRFG BBQ Festival is at Park Tavern at Piedmont Park on Monday, September 7. The doors open at 12:30 and the tunes start up at 1:00. BBQ will be available for purchase by Fat Matt’s Rib Shack. Tickets are $15 in advance or $20 at the door. Dust off your dancing shoes for an afternoon of blues music and BBQ. I’m a sucker for live music, so this is sure to be a great time. Georgia Dome :: Hallelujah it’s football season! The Georgia Dome will be hosting the Chick-fil-A College Football Season kickoff with Auburn Tigers and Louisville Cardinals. The game will be on Saturday, September 5th at 3:30, but get your tickets now. They’re going fast! While you are downtown, check out the College Football Hall Of Fame. Local Favorites :: Six Flags, Stone Mountain, and Lake Lanier are all rocking and rolling Labor Day Weekend. Stone Mountain has their famous laser show with fireworks after. Lake Lanier will have Lanier World open and a weekend full of “tailgating” kickoff parties. Each of these will provide you with days and days of fun. Shopping :: Labor Day isn’t complete without a little shopping, right!? It’s really the last “big sale” until Black Friday shopping. To find your absolute best deals, check out the outlet malls. Luckily, we have 3 great choices to choose from: North Ga Premium Outlets in Dawsonville, Tanger Outlets in Locust Grove, and Outlet Shoppes at Atlanta in Woodstock. I’m sure all 3 will have fantastic deals and steals over Labor Day Weekend. ← Just Listed :: Charming Ranch in North Buckhead!